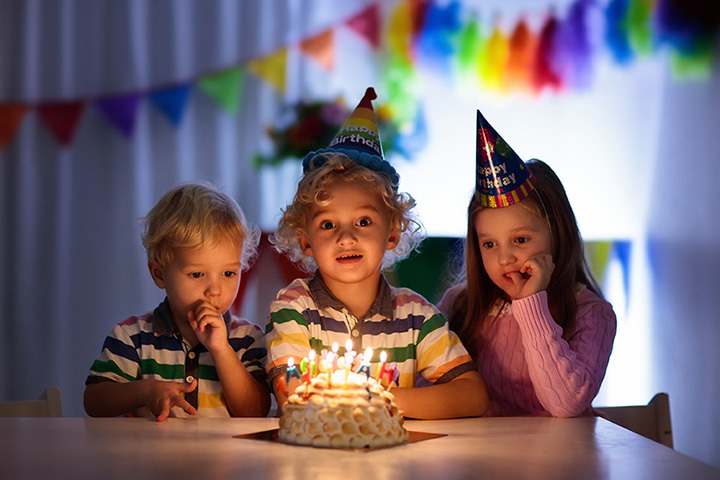 If you’re looking for the perfect venue for your child’s birthday celebration, search no further. In Oklahoma, you’ll find a wide variety of cool spaces ready to host your child’s next party. From trampoline fun to top-notch zoos, here are the 10 best places for a kid’s birthday party in the state. At this party, your kids get in a climate-controlled bus that has been renovated by removing the seats, covering the walls and floors with carpet and padding, and redone with an obstacle course and games for fitness fun. The bus doesn’t move once it arrives at the location, and it can be parked just about anywhere. Host your child’s birthday party at the zoo for a day of fun and entertainment. The zoo’s hostess does the work. Food and drinks are catered in. Plus, the guests and the birthday child will be introduced to two animals up close and personal during the party. The aquarium has two party options. You can choose a fishing pond party or a shark viewing party. Guests get full admission to the aquarium, so the party can last all day long, if you choose. The Tiger Safari is like a trip to Africa without the air fare. Hold a birthday party at the park and you’ll have a variety of options, depending on what you choose, but the best part is having two cool animals come to the party room and you’ll get to take a picture with one of the smaller exotic animals. Don’t forget the camera. If your kids love inflatables, Bouncin Craze is the place to be. You can choose to have inflatables brought to your back yard, or you can hold the party at their indoor location, where you’re not responsible for setup, cleanup or anything else. For a quieter party with a unique party favor, hold a birthday party at this art studio. You can choose pottery, class or canvas packages. All supplies are provided and you have a private room and an attendant to run the party. Bowling, laser tag, skating, mini bowling, video games await in this fun zone. Plus, you can get a private party room and have pizza served to your guests. It’s a great place to let your kids play and not have to do much at all. At Great Balls of Fire, you’ll find laser tag, bowling and a video arcade with modern games. The theme is 1950s fun, and the facility is comfortable and inviting. The party line at Sky Zone is “elevate the way you celebrate.” Every party starts with a basic package, time to jump, a private party, and glow shirts, but can be customized to meet the age and needs of your birthday child and guests. A high-energy coach plays games with your kids on the soccer field while you take pictures on the sidelines. Younger children will need parent participation. You get an hour on the field, an hour in the party room, soda and a T-shirt for the birthday boy or girl. Bring your own cake, but let someone else take care of the heavy work.